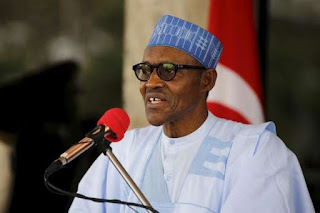 President Muhammadu Buhari on Friday said his administration was determined to recover money stolen by former public officers to create jobs for the nation’s teeming unemployed youths. The President said this at the NYSC Permanent Orientation Camp, Gbakuta, Iseyin, Oyo State, during the swearing-in of Batch `A’ corps members posted to the state. Buhari, whose speech was read by the Permanent Secretary, Ministry of Youths and Sport, Mrs Ololade Agboola, said recovered funds would be used to create jobs. “One of the disturbing problems inherited by this administration is increasing unemployment amongst young people. “In fact, the unemployment situation has taken a great toll on the Nigeria youths at their prime productive ages. “That is why this administration is anxious to recover illicit wealth to channel them into productive economic ventures to absorb thousands into employment’’, he said. He said government was aware of rejection of corps members, infrastructure deficit at the orientation camps, and dwindling resources as some challenges facing the NYSC. “I have been informed that these problems have persisted due to monumental growth in graduate population and inadequate corresponding resource provisions. “These seemingly intimidating obstacles should not dampen your zeal to make the desired sacrifice to serve your fatherland as government is prepared to address these problems’’, he said. The President implored corps members to settle down quickly and learn about ideals of life while contributing their quota to national unity. Coordinator of NYSC in the state, Mrs Funmilola Akin-Moses, said the camp, which opened on Wednesday, had registered 1,692 corps members. According to her, the figure comprises 732 male and 960 female corps members. She said corps members would be exposed to various courses and training during the three-week orientation.